This is confusing. At nine tracks, Endless Aggression is very long for a demo, but a demo is how it’s packaged: slimline jewel case, pro-quality insert, and a CD-R with no label—not even Sharpie scribblings. In any case, Baltimore’s Necropsy is made up of five young dudes that shred, employing lead trade-offs and fast songs. They impress less with their songcraft than their thrashiness and tight musicianship. 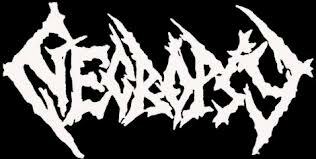 Necropsy is a thrash band, as many younger bands are these days, and they’re influenced by the meaner side of the genre as well as death metal. More Kreator than Flotsam or Exodus. Their fast riffs lead with the snare half the time, a Slayer beat the other, but they throw in a quick blast once in a while. They’re worth watching to see where they go from here. This entry was posted in Reviews and tagged Baltimore, Kreator, Necropsy, Noisem, thrash metal by Editor. Bookmark the permalink.